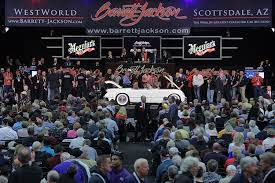 This car auction attracts so many visitors that in 2016 the city of Scottsdale hired a consulting firm to study its economic impact and the results were staggering. The auction boasted 350,000 attendees from all 50 states and 15 countries, which translated to almost $170 million in revenue. This is so much more than just a golf tournament. 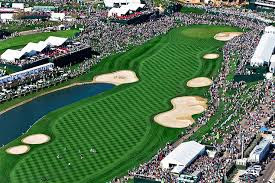 “The Greatest Show on Grass” had over 700,000 spectators and pumped almost $400 million into the local economy last year. The golf and concerts that follow each night draw a wide range of age groups as well as celebrities to our area. While the Arabian Horse Association has other shows throughout the year, this one is the largest in the world and continues to grow. It’s estimated that at least 310,000 horse lovers will flock to the 2019 event, which will showcase more than 2,200 horses (and their owners). Ten stadiums are scattered across the metro Phoenix area. The 15 MLB teams that make their homes here each year sell 3.5 million tickets each season. Loyal fans from Chicago, San Francisco, Colorado and points all over the country make pilgrimages to watch their teams in action. Not only does this event last a lot longer than the others, it also draws a wider range of ages and socioeconomic groups. Whether they are looking for a short-term rental, an investment property or a second home, tourists coming to town during this time have a lot of spending power. Be ready for them! Should you move or renovate? How practical is smart tech for you?